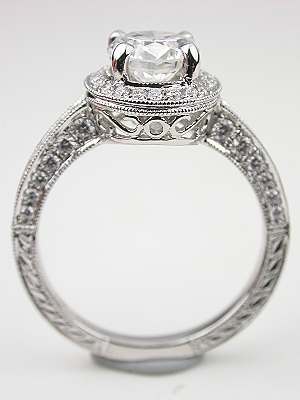 A halo of diamonds surrounds a 1.04 carat GIA certified diamond in this romantic vintage style engagement ring from the Topazery Collection. 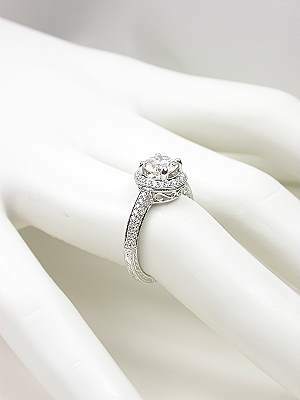 This diamond engagement ring is lovely from all angles starting with the diamond-studded, engraved shank to the curliques on the bottom and sides of the underbezel. 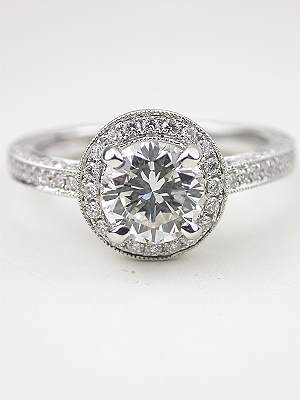 A halo of diamonds surrounds a 1.04 carat GIA certified diamond in this romantic engagement ring from the Topazery Collection. 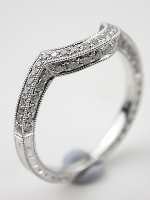 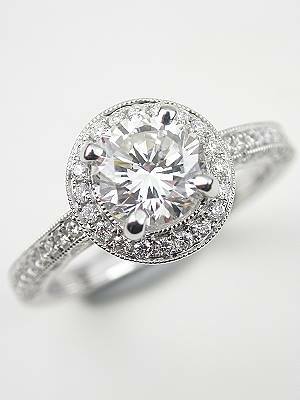 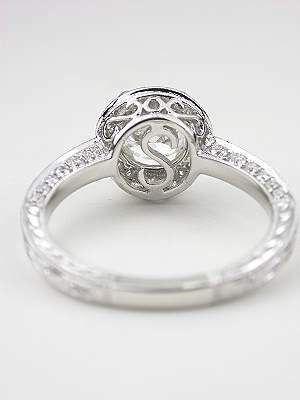 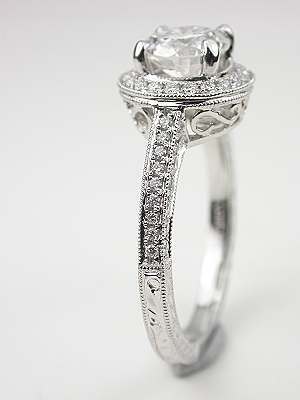 This vintage style engagement ring is new. 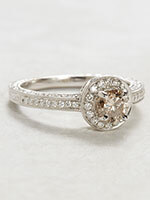 Special characteristics A matching wedding band is available for purchase separately. 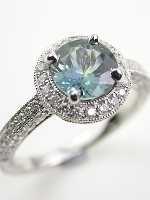 Please see item RG-2955wb.